At approximately 10:00 a.m. on Friday, November 30, 2018, Sheriff’s Deputies assigned to the Santa Maria Station responded to a call of a suicidal subject who had contacted a hotline saying he had a firearm and wanted Law Enforcement to shoot him. Sheriff’s Deputies responded to the area and were eventually able to convince the subject to come out of his residence without the firearm. During the course of the investigation, Deputies learned the subject planned to point his handgun at deputies to make them shoot and kill him. The cautious approach the deputies employed resulted in a calm and safe resolution for all involved. During the contact, the subject became very agitated and was calmed by a deputy assigned to the Hostage Negotiation Team. 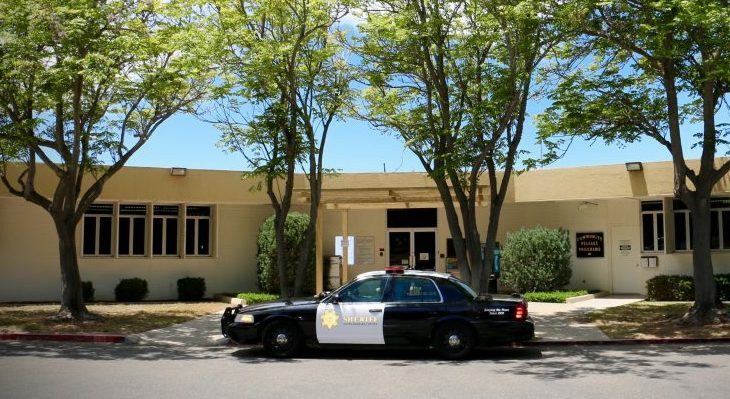 The subject was transported to a local hospital where an evaluation was coordinated with Santa Barbara County Department of Behavioral Wellness, Mobile Crisis Team. Sheriff’s Deputies se ized two firearms that were registered to the subject pursuant to California Welfare and Institutions Code section 8102 W&I. This incident is an example of some of the challenges law enforcement is faced with when they come into contact with individuals who are experiencing a mental health crisis. The Sheriff’s Office developed and pioneered a state recognized Crisis Intervention Team (CIT) training program which is now available to all Santa Barbara County Law Enforcement. The training is designed to help law enforcement learn about mental health disorders and how to best respond to situations that involve persons in mental health crisis. For persons whose life experiences haven't familiarized them c o m p a s s i o n a t e l y with persons in states-of-physical neurology commonly referred to as "mental illness", or about whom it's said "something is wrong with them", can't imagine what they can't imagine. It's not possible. One must meet with people. Befriend people. Get acquainted. Hear their life stories. Visit regularly and share a sandwich and some water and chat. I did as a "poor" young adult residing in the worst part of town in the middle of the country, and as a middle-aged "comfortable" adult. Many, many people in our community do. Become one. Engage your calm curiosity. Calmly search among varied viewpoints and among data coming from many, worldwide sources. I can assure you, you are in for some shocking surprises. Then discourse with some knowledge, and continue to cultivate calm curiosity. The human body is a physical incarnation. There's no inobservable physical aspect of the human body. Human technology has scarcely advanced enough to accurately, reliably repetitively, observe the majority of the living human body. And sexism (50% of the earth's population), racism (varying percentages of a population, depending upon one's geographic location, oversimplified), classism, and their multitudinous cousins of categorized varieties of hates, relegate those not-in-power, not-in-economic rule, not-worshiped, to being not-right. Not right by any means of the multitudes of division of humans by those in power. Not physically right. Not spiritually right. Not mentally right. Not morally right. Not ___fill-in-the-blank___ right. People in power don't bother to compassionately observe those who are not-right; those who are non-standard; those who "aren't one of us". They don't care. Those people aren't worth bothering to learn to understand. And don't suppose, if you are "one of the us" where you are, that you can't fall from that association. It's not lifelong. It's not assured. You pretend that it is. You live in denial. It's too difficult to look at the ones who were "one of you" but aren't anymore. Is calling to have a official shoot you a real option? If you were serious, wouldn't you just do it yourself? So--is this a request for (expensive) attention, a symptom of insanity or what? Glad the police could handle it, but not glad to pay for it.